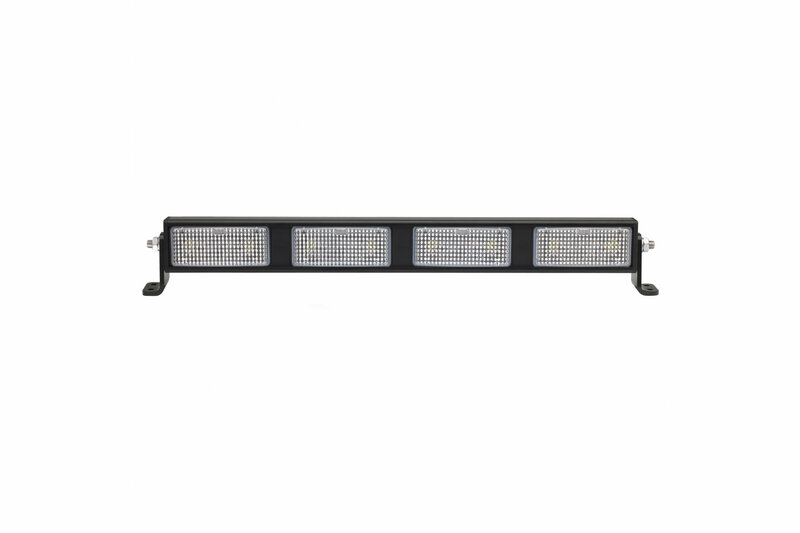 The New 4 Module LED Light Bar from J.W. Speaker provides an insane 4,400 raw lumens of light with 2,640 effective lumens. Available in a 12V DC configuration, the Fog beam pattern bar features a UV-resistant polycarbonate lens and rugged solid state LEDs that can withstand shock & vibration. Long-lasting LEDs mean never having to replace another bulb again! Die-cast aluminum housing provides maximum protection. Universal mounting.